Anyone interested in EU citizenship and living and working in the EU can gain a solid, general understanding about legalities and how the EU operates by carefully reading this post. The European Union (EU) currently consists of 28 member states, in addition to participation from non-EU countries of Norway, Switzerland, Iceland and Liechtenstein. Seventeen countries have also agreed to use the euro single currency as of January 1, 2011. But being part of the EU and using a common euro currency doesn’t mean the European continent has fused into one country. The term “member states” means that each country belongs to a collective, but retains its unique identity and laws, much like American states belong to the United States and use the dollar, but California retains its borders, identity and laws separate from New York, Florida and Alabama. 4. non-EU citizens — nationality is unimportant; it doesn’t matter if you’re American, Australian, Asian, South American, Albanian or Canadian. Anyone who has citizenship from one of the EU member states, or the four non-EU countries listed above, has the right to free movement and can live and work in the EU. Citizens from Romania, Bulgaria and Croatia are restricted in some member states. All nationals of the 28 member states are EU citizens. However, each member state still recognizes its citizens by nationality — i.e. Austrian, Dutch, French, German, British. That means each country has its own unique requirements for qualifying for citizenship. There isn’t a standard one-size-fits-all list of rules for the entire EU or Europe. 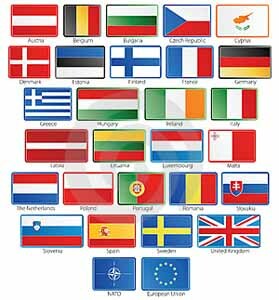 Anyone seeking a way to get EU citizenship will need to consult each country or member state’s different laws and regulations pertaining to a person’s right to claim such through birth, ancestral origin, military service or naturalization. See, “How to get EU citizenship through ancestry or naturalization” for a comprehensive list of official links to all EU and select non-EU countries to see if you qualify or what is required for each. a) Easiest EU citizenship: The “easiest” country in which to stake a claim to EU citizenship with the shortest waiting time is one in which a person has an ancestral link (e.g. Ancestor born in an EU country). People with an ancestral link to an EU country often do not need to have residency, speak the language, pay a fee or even visit the country granting them citizenship. There is otherwise no automatic way of getting EU citizenship. b) Ways to get EU citizenship: There are only two ways to get EU citizenship — Birth in an EU country — yourself or through an ancestor — or by residing legally in one EU country for a number of years and going through naturalization. Before starting the citizenship process, you must check with the two countries of concern that they allow dual citizenship. Many EU and non-EU countries do not. e) Benefits of dual EU citizenship: If you do not know the benefits of getting EU citizenship, a search on the Internet will not turn up any answers. Why? Benefits are uniquely personal to the individual. Most people seeking dual citizenship with the EU are non-EU citizens looking for a legal way to live and work in the EU. An EU citizen wanting dual citizenship with another EU country should know that there are no additional benefits. In fact, it’s redundant. Some use this option because some countries give preference and benefits to their own citizens before other EU citizens, though by law all EU citizens are supposed to be equal. f) Purchasing EU citizenship: Anyone promising EU citizenship for a price is a scam artist conducting illegal activity. Charges of forgery and jail time will be assessed to anyone found purchasing fake citizenship papers. There is no such thing as a collective EU passport, EU national ID or EU driver’s license. Therefore, you will not find an EU passport/citizenship/driver’s license application online or anywhere. Official transactions such as these require that you or a legal representative appear in person to sign an application and provide identification and official documents for security reasons. Technically, any passport, national ID or driver’s license issued by any of the 28 member states in the EU is an EU passport, EU national ID or EU driver’s license. However, nationality still counts and each country has unique requirements and processes to issue one. Therefore, it makes more sense to search individual countries (i.e., Greek passport, Swiss passport, Greek national ID, Spanish national ID, Greek driver’s license, etc.). There is no such thing as a Schengen national ID, Schengen passport or Schengen driver’s license. Schengen refers to an agreement and membership, not an issuing authority or country. (Explanation follows in the ‘Visa’ section). a) EU passport and national ID: Only people with citizenship from a specific EU country are entitled to a passport and national ID from that country. 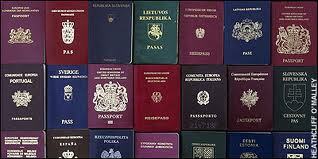 Therefore, if you want an EU passport, you must have citizenship from one of the EU countries. For example, if you have U.S. and Greek citizenship, you are entitled to get a U.S. passport and Greek passport and a Greek national ID. Passports are not transferable. This means a non-EU spouse or child of an EU citizen cannot apply for a passport or national ID, unless he/she also possesses citizenship in one of the 28 member states. b) EU driver’s license/EEA license: EU citizens who move to another EU country do not normally need to swap driver’s licenses. However, non-EU citizens must pass a series of theory classes, practical driver’s training, vision test and have a legal residence permit/card to be eligible for a driver’s license in a certain country. All member states have unique requirements, so it’s better to search by country, i.e. Austrian driver’s license, Swiss driver’s license, Greek driver’s license. c) Purchasing an EU passport: Anyone promising to sell you a passport from an EU country is conducting illegal activity. Jail time, deportation and a permanent red flag on your travel and other official records will be assessed. As I say in “What’s the difference between a visa and a permit?“, a visa is an endorsement granted by authorities that denotes an application has been examined and approved for the bearer to enter the country temporarily for the purpose of travel, work or study. a) EU visa/Schengen visa: There is no such thing as an EU tourist visa, but rather a Schengen visa that grants up to a 90-day temporary stay in any 180-day period within the Schengen zone, which does not include all EU member states. Countries within this zone can be found at “Current Schengen countries,” which explains that Schengen is an agreement, not a country or state. Also note that Schengen is not EU and EU is not Schengen. b) EU work visa/EU student visa: There is no such thing as an EU work visa or EU student visa, but rather each country has specific requirements that must be met before granting permission to a non-citizen to enter, stay and exit the country of interest for the purpose of business or study. A work or student visa is issued by the consulate before leaving home. For example, if a professional or student needs a visa for Greece, (s)he needs to apply at the Greek Consulate. After arrival in the country that issued it, (s)he can trade for a permit and work legally part-time. Students get study visas quite easily by being accepted to a university for a course of study or semester abroad program, then applying for a visa in their homeland at the consulate/embassy. — To transfer an existing employee from a company’s branch in the homeland to the EU country of concern. Generally, EU countries are not willing to hire non-EU citizens until a several months-long search for an EU citizen has been conducted because extending a work visa to a non-EU citizen is a long, expensive bureaucratic process and the employer must prove and gain approval from the labor ministry that no suitable EU citizen candidate exists. Many companies leave the vacancy open, rather than fill it. c) Easiest EU visa: Whether or not it’s easy to get a visa depends on your citizenship, your status as a citizen (i.e., Were you born in a country different from where you’re living now? ); criminal record; past violations/overstays of visas, whether you paid a penalty and/or are now banned; ties to your current country (i.e. A family, gainful employment, a legal residence); and following instructions when applying. Consult your local consulate/embassy for the correct procedure and requirements. d) Easiest residency: Residency visas are only granted to people who have compelling reasons to be in that EU country, either because you are connected to someone already living there or you offer specialized skills that a specific company is seeking that no other EU resident offers. A spouse’s or fiancé(e)’s citizenship is only relevant when applying for a fiancé(e) or spouse visa for permanent immigration purposes, not tourist (Schengen or otherwise), work or student visas. Some EU countries have them, but the majority do not at this time. It also has no bearing on passport control. Passport/border control checks only your passport and does not ask or care who you are engaged or married to. e) Overstaying a Schengen visa or any visa in the EU: Overstaying the duration of any visa carries consequences and penalties specific to the country in which a person overstayed. The EU has not set a standard, therefore an inquiry must be made in the country where it occurred. If you overstayed a visa in Greece or would like to see an example of one EU country’s penalties, see “Overstaying a visa in Greece.” Once a visitor has overstayed, he/she is illegal and ineligible for a visa extension, residence/work permit, marriage and other types of official transactions. In short, it is not possible to do something legal if one is illegal. An EU work permit with validity for the entire EU does not exist. Work permits are granted by the specific EU country in which the job was secured, according to the rules and requirements of a member state’s labor laws. Some EU countries welcome immigrants; others do not, usually due to high unemployment or nationalistic agendas, and immigration legislation reflects this. Also, the majority of work permits are only granted if you first secured a work visa described in the previous section. a) Authorization/sponsorship to work in an EU country: Authorization to work in the EU is not EU-wide, but rather granted by the specific country in which the job was secured. This normally happens when there is a shortage of workers in a specific sector/industry of a country. After it has been determined that there are no native or other EU citizens within the country to fill this position, a company then opens it to non-EU citizens. However, few companies opt to do this because it is a heavily bureaucratic and expensive process; in fact, many companies simply leave the position unfilled. In my 15 years abroad, I have never seen a single advertisement for companies willing to sponsor EU permit or companies granting authorization to work in the EU. In fact, it’s the opposite. The majority of job ads clearly state that only candidates who already have authorization to work in the EU will be considered. b) EU immigration program(mes): Some countries, such as the UK and Sweden, have a professional migrants program in which highly qualified, educated non-EU professionals with 5-10 years experience/specialization in one field may qualify for a temporary visa to enter the country, be granted a permit for one year to search for and secure a job, then be invited to renew the permit to stay employed in that specific field. Some countries are completely the opposite. For example, in Greece, the demand is for low skilled, low salaried seasonal workers, and the migrants program in place is only available in select Eastern European countries in which candidates must apply at the Greek consulate/embassy. Many countries in the EU do not have an immigration or migrant program and have no plans to implement the Blue Card Program to fill vacancies since the economic crisis took hold. The only exception to this rule applies to non-EU citizens who have been residing/working legally in one country of the EU for five (5) years AND are in possession of a long-term permanent EU-wide permit, which gives them permission to live and work in another EU country. 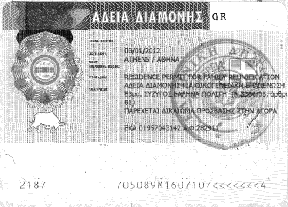 If you have been residing in Greece for 5 years and would like to understand if you qualify, or if you’d like to see an example of one EU country’s requirements, click “Non-EU citizens seeking long-term EU-wide permit in Greece.” Greek authorities began implementing this 2003 directive in 2008; other countries started long ago. e) Easiest EU country to get a permit: The term ‘easiest’ is highly subjective because it is dependent on a number of factors, such as: whether a country has a migrants program, unemployment rates, your experience and skills, if you speak the language of the country in which you’re seeking work, how well you know the local business culture and environment, what conditions and salary you’re willing to accept, if you are shortlisted and do well in the interview process. The list is endless. Many EU/EEA countries have a threshold on how many permits are issued per year for non-EU citizens and fellow EU citizens, such as Switzerland. Living in the EU is a broad subject since all countries are unique. — living on financial means from outside the country to support yourself without working. Non-EU citizens intending to immigrate under one of the above conditions should inquire at the consulate/embassy of the country concerned to see if a special visa is required. For example, Greece requires that people intending to immigrate and stay permanently on funds from outside the country (SSA benefits, income, etc.) apply at the Greek consulate/embassy for a type ‘D’ visa. Otherwise, they cannot get a permit. b) EU residency: The only way to establish residency in the EU is to live in the EU, and the only way to live in the EU is to get a permit, and you must have a compelling reason and/or financial resources to get one. Should this not fit your situation, the only way around establishing residency in an EU country is by having an ancestral link to a parent/grandparent born in a European country, which would entitle you to citizenship as discussed in Section 1 above for EU Citizenship. A residence or work permit is not transferable to another EU country if you move and don’t have the long-term EU-wide permit based on five (5) years working in one county as a non-EU citizen not connected to an EU citizen. a) EU jobs, EU jobs for Americans, EU jobs for non-EU citizens: Jobs are not advertised this way because there’s no such thing. A more efficient way to search for jobs is to choose a country or city of interest, i.e. jobs in Sweden, jobs in Greece, jobs in Athens. EU jobs is too broad to get leads on specific positions. b) Jobs for Americans/Canadians/Australians/foreigners/expats in the EU: There is also no such thing as separate jobs for expatriates/foreigners, certain nationalities (i.e. jobs for Americans) and different jobs for native citizens. Expats/foreigners compete with everyone else, therefore EU jobs for non-EU citizens and American jobs in Greece do not exist. e.g., Are there “American jobs for only EU citizens” advertised in the United States or “jobs in Australia for non-Australian citizens?” Of course there aren’t. People are people, and jobs are jobs. 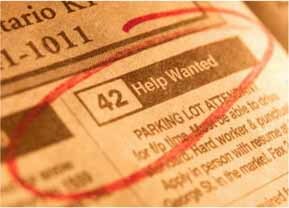 If you are looking for a job in Greece, see “Jobs in Greece” or start your job search using links listed in the third column. — you have the skill level and experience to beat out every EU citizen for the job. Searching for “easiest EU country to find a job” is just too general to turn up solid leads. Comments/questions are closed on this post, since I invested several hours and more than 3,500 words of free guidance.